This entry was posted in Uncategorized on July 31, 2015 by Andrea. A friend mentioned that in a new job, he’s “testing the waters for Christian conversation.” This is a good man who only means well. My own experience through much of my life was that these conversations can quickly turn awkward and feel like an invasion of privacy when you’re confined together in a work setting. I never mind someone making a personal comment referencing their religion, but I never want to be asked “do you know Jesus?” I’d never say Hare Krishna to a stranger or ask “do you know Shiva?” This man is a friend of mine and his job will be driving clients to appointments. I hope he doesn’t find himself in a pickle thinking people may be more tolerant than they are. I’d hate for someone to complain and jeopardize his job. I have a No Soliciting sign on my door that also says No Boy Scouts, No Jehovah’s Witnesses, No Mormons. In the early years when I first started awakening, I actually prayed that I would not become like my born again friends who alienated everyone by their fervent enthusiasm in their new found faith. I’m not sure if I achieved that or not. 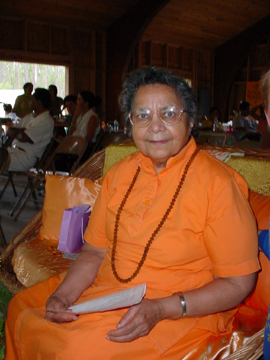 About Mataji April 2, 1927 — February 20, 2015. Mataji is one of 5 living female hindu saints documented in Daughters of the Goddess, The Women Saints of India authored by Linda Johnsen. This entry was posted in Uncategorized on July 30, 2015 by Andrea. Is it ever OK to shame someone for having a different belief system? This entry was posted in Uncategorized on July 29, 2015 by Andrea. I woke up at 10pm to an email my tax chick sent asking for more info for my 2014 return. I got excited she was working on it! I’m glad I keep everything filed because I found it all right away. Then I began my billing while I was in numbers mode. LOL I did notice that however my new tax accountant was blessed with so much work that she couldn’t keep up with it all so she filed me an extension and we’re finishing up right now. A friend asked how can I be at the end of July and not have a business plan for the next year if I did not know how my business did last year? But that’s not how I do business. 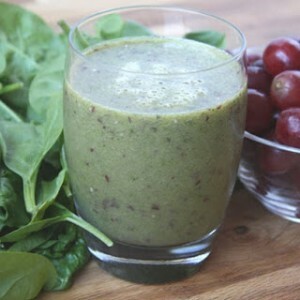 I woke up yesterday morning and sat to meditate. It wasn’t happening. 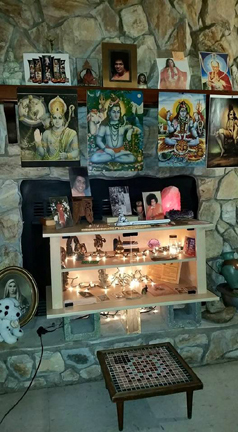 I’d moved my altar area a few months ago and it still did not feel comfortable. Today was the day to do something about it. Since I’m rehabbing my knee, I moved the exercise bike, the HealthRider and the rebounder off to one side. I also can’t sit cross legged on the floor right now, either, which cramps my style. Formerly, I had the inside of my fireplace lined in mirrored tiles, with altar items inside and posters of deities overhead on the mantelpiece. I had to take them out of the fireplace because Benny the Cat thought that was a cool place to walk around. I moved a two shelf cabinet with clear doors in front of the fireplace. It has a short strand of lights inside and now contains all the altar items, as well as on top. I moved a café table and two chairs to the center of the room. My meditation area was now situated the same as it had been the last 20+ years. It felt familiar again. I felt in the slot once more. Meditation came easily after that. This entry was posted in Uncategorized on July 28, 2015 by Andrea. Once again it’s near midnight as I plan tomorrow. 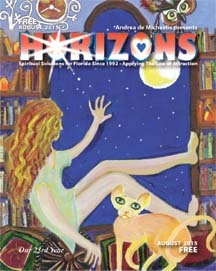 I need to drive to Cassadaga this week to deliver the August Horizons to them, and want to ask a galpal to take the ride with me. Except I won’t know until I wake up which day I want to go. I’d leave by 8:30am. She’s not an early riser. I like to let people sleep. I may also wake up wanting to go alone. The best I can hope for is to text her as soon as I wake up and know and if she can do it, yay. I spent a lot of years having friends get ticked at me for breaking commitments to attend things I should never have committed to doing in the first place. That was so unfair to everyone, and disrespectful of their time. I learned my lesson. But then I’m one of those people who if I have something scheduled and someone cancels, I’m stoked to have the extra time back. This entry was posted in Uncategorized on July 27, 2015 by Andrea. 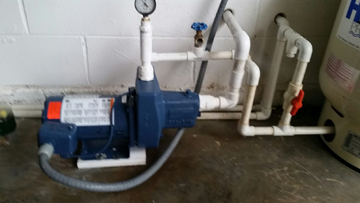 The new pump and fittings!